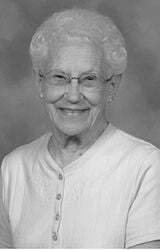 RACINE—Bernice Mary (Hueffner) Slaasted, 96, passed to her heavenly reward on April 15, 2019, with family and friends at her side. Daughter of John George and Francis (Peil) Hueffner. She attended Wm Horlick High School. On December 6, 1941, she married the love of her life, Hans C. Slaasted, they celebrated 59 1/2 years together. Hans passed away on April 21, 2001. From this union 6 children were born, Dale (Sharon) Slaasted, Carol Meshenky, Lynn (Kevin) Wirt, John, Joan, Jeffrey Slaasted. YAHTZEE was her passion, she could play it for hours. But nothing came before “MY BREWERS” from their first game in Milwaukee until the end she always referred to them as “MY BREWERS” and didn’t miss a TV or Radio game. Bernice is survived by her children, Dale, Carol, Lynn, John, Jeffrey. In addition she is further survived by one brother, George Hueffner; 12 grandchildren, Terri Slaasted, Scott (Carrie) Slaasted, Andrea Cooper, Kris (Brian) Seay, Steve (Deb) Meshenky, Matthew Meshenky, Marc Rannow, Kyle Rannow, Cory Wirt, Amy Propsom, Katie Slaasted, Samuel Slaasted; 19 great-grandchildren; and 3 great-great-great grandchildren; nieces, nephews, and friends. She was preceded in death by her husband Hans, daughter, Joan; daughter-in-law, Theresa Slaasted, sisters, Grace Kuree, and Lois Pye. Friends and family are invited to meet with the family on Wednesday, April 17th from 3PM to 4PM followed by a Mass at 4PM at Sacred Heart Church, 2201 Northwestern Ave, with Rev. Ricardo Martin officiating. Private Interment will be at Holy Cross Cemetery, Highway 32, on Thursday, April 18th. In place of flowers, donations to Sacred Heart Parish, TWO Lives ONE Heart Foundation (a 501c3), to a charity of your choice in Bernice’s’ name are suggested by the family. A special thank you to the staff at THE VILLAS at Lincoln Park and to Nurses Liz Salazar and Theresa Lucas of Ascension All Saints Hospital for the exceptional care they gave to Bernice during her time there.